First Listen: Rokia Traoré, 'Beautiful Africa' One of Africa's musical queens, Mali's Rokia Traoré, navigates a surprising course on her new project: She makes a sophisticated, smart and beautiful rock album. Rokia Traoré's new album, Beautiful Africa, comes out in the U.S. on Sept. 24. 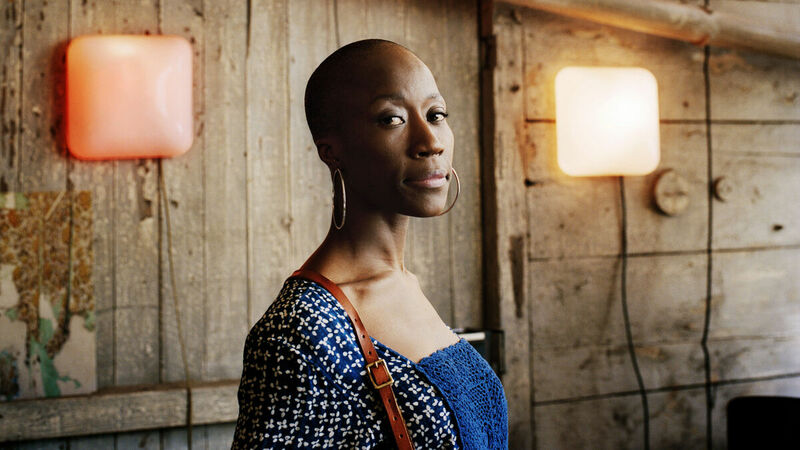 Singer, songwriter and guitarist Rokia Traoré has always been a sophisticate. She grew up as the daughter of a diplomat who was posted in the U.S., Europe and the Middle East. Her most recent stage project was Desdemona, a critically acclaimed theater piece riffing on Shakespeare's Othello, done in collaboration with novelist Toni Morrison and renowned theater director Peter Sellars and mounted at London's Barbican, in Vienna and at Lincoln Center. Don't think that Traoré limits herself to the high-minded, though. She calls Beautiful Africa a rock album — but this is rock filtered through a Malian prism. The West African ngoni lute figures as prominently as the electric guitars; her rhythms boast a distinctly African sway. But she also enlisted John Parish, who's worked with PJ Harvey, Eels and Sparklehorse, as her producer for Beautiful Africa, and you can hear his influence in the grooving, driving, rushing currents that swirl under Traoré's honeyed voice. It's an inspired idea, and there may not be an artist better equipped to pull off the combination with such ease and grace. Beautiful Africa is just as smart and lovely as its creator. Traoré is a strong songwriter, so it's a shame to hear this album without the benefit of translated lyrics; she performs mostly in Bambara, one of the major Malian languages, and in French. [Update: Traoré's label, Nonesuch, has now offered access to English translations of all the lyrics on this album for the First Listen audience.] It's pleasurable enough to enjoy her music on a purely sonic, instrumental-like level. But then you miss the layers of nuance and references she carefully builds, such as in "Mélancolie [Melancholy]," when she picks up on the American blues tradition of befriending sadness and regret: "Melancholy, faithful companion of my solitude ... dance with me." Traoré also pauses to ask hard questions. It's virtually impossible for a musician from Mali to make art today without referencing the terrible chaos and violence that has besieged her native country since the beginning of 2012; Traoré herself has relocated her son to France for the time being, though she is living in Bamako. She addresses the current pain in a pointed way in the title track, delivering these lines in English: "Battered, wounded Africa / Why do you keep [playing] the role of the beautiful naive deceived?" she asks. "Yet my faith does not know failure / I love you, beautiful Africa."